Today I worked out for the first time in a week. I was sick with a pretty bad head cold last week, so I wasn’t able to work out at all… But I did work about 31 hours, and I am on my feet for my entire shift, so I have to be burning some calories… Right? Now that I am scheduled 30+ hours a week, and I’m still homeschooling full-time, I am having a hard time fitting in my workouts. I am simply running out of time! … So, until school is out for summer, I am only going to be doing my 3-mile walk, instead of my 5-mile. I still have a hard time even squeezing that in, but I don’t want to go any less than 3 miles. I am still struggling with my eating. I do well some days, and not so well on others. So, for the month of April, I won’t be weighing in. Our homeschool lessons will be finished by the end of the month, and with some of my schedule freed up, I will be able to focus on my weight loss again. Sorry about the lack of posts lately. I’ve been so busy with homeschool and work, that life seems to have gotten in the way of things like weightloss and blogging… Of course, there is the fact that I haven’t been doing as well as I would like to be doing, and it’s pretty much all my own darn fault… You see, while I am still exercising on most days, I haven’t been doing as well with my eating. *hangs head in shame* … I’ve been getting into things like cookies, and having bigger dinners, that sort of thing. Not every day. Some days I do really well, which is probably why I haven’t gained anything… But I am not losing either. No worries. I am not giving up. I just need to get myself through… whatever this is, and then get back to losing. I think I am finally breaking in my new shoes. My feet aren’t hurting me quite as much as they were, and my calves aren’t quite as achy when I am finished with my workout. I am so thankful, because I was feeling pretty miserable after a workout or a shift at work (where I am on my feet the entire shift). I also didn’t do my workout on Wednesday, but that’s because I needed to be showered early and get the house picked up and school started. We had a new dishwasher delivered, and the delivery window was 10:30 to 12:30. Sooo… Top that off with some poor food choices over the last week, and I was afraid to step on the scale this morning… In fact, Wednesday night I had to sit myself down and give myself a talking to about all the extra food I had been eating the last week. I was quite ashamed of myself, and I resolved to do much better. So, imagine my surprise when I found out that I had actually lost weight! Wow! I am down another 1.2 lbs, for a total of 90.4 pounds gone!!! Yay! Just a quick post for my weigh-in… Though it wasn’t much of a weigh-in. 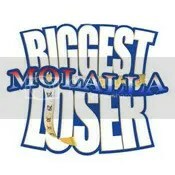 *lol* I only lost .4 lbs, but a loss is a loss, and I’ll take it. I am now down to 183 even, for a total loss of 89.2 lbs. I’m getting closer and closer to that -100 lbs lost! I am not one of those types of women that need to have lots of shoes. In fact, not counting my slippers, I have a total of two pairs of shoes. My tennis-shoes and my summer sandals. They are all I need, so why have more? But… I did need a new pair of shoes. I have been wearing my main shoes for over 4 years now, and they were falling apart. (Got my $15 worth out of those, huh? 😆 ) So on Saturday we went to Payless Shoes to get me (and the girls) some new shoes. Now I wear a weird size. 6 1/2 wide… And there are not many shoes in that size to choose from, so you basically have to take what you can get. 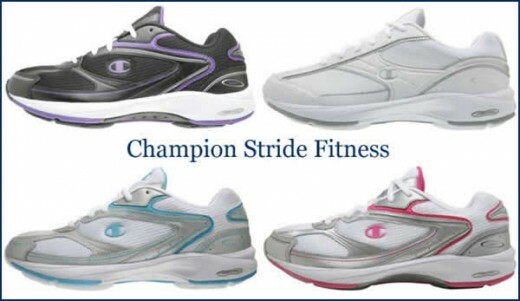 There were only a couple of pairs to choose from, so I grabbed a pair of white and pink Champion Stride Fitness shoes and sat down to try them on. They fit fine, and didn’t feel tight at all. I will admit that I didn’t walk around in them, as I should have, but (to be honest) I never walk around in the store with the new shoes. If they fit, I buy them and go on my merry way. I’ve never had a problem with it before, either. Looks like I unwittingly bought myself some toning shoes. They have “instability soles” on them. 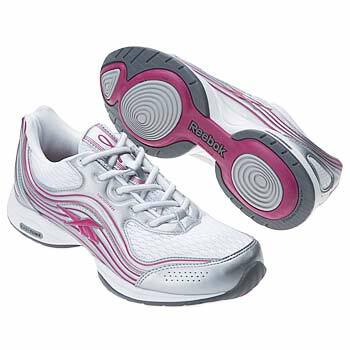 They make the shoes unstable, so that your leg muscles have to work more when you walk. Supposedly, this helps to tone your leg muscles… Anyway, the soles have these round bump things on the bottom… I have to say, it feels WEIRD. It was totally trippy to walk on them, and they made my feet feel wobbly. I will admit that by the end of my work shift, I was starting to get used to it, and I am hoping that after a while I won’t be able to notice it anymore. Then today I wore them while I did my 5-mile walk, and OMWORD, my feet are hurting again AND my calves are feeling it too. I’m not too worried about the calves. When you work muscles in a new way, they hurt for a few days. No big deal… But I really, really hope that my feet get used to these weird shoes and stop aching whenever I wear my shoes.